Visualize cold and chilly fall and winter nights, when entertaining outside is nearly impossible. The "Tyner" Outdoor Fireplace Project by Leisure Select will change the game, giving you a warm space outdoors where guests can relax and warm up. This Fireplace Project offers a custom stone exterior, topped with an attractive hartstone cap. The convenient wood storage areas next to the brick lined, masonry fireplace will make fueling your fire easy, while mantel shelf is a great place to show off artwork. Add an Outdoor Room to your backyard that will mesmerize your guests! 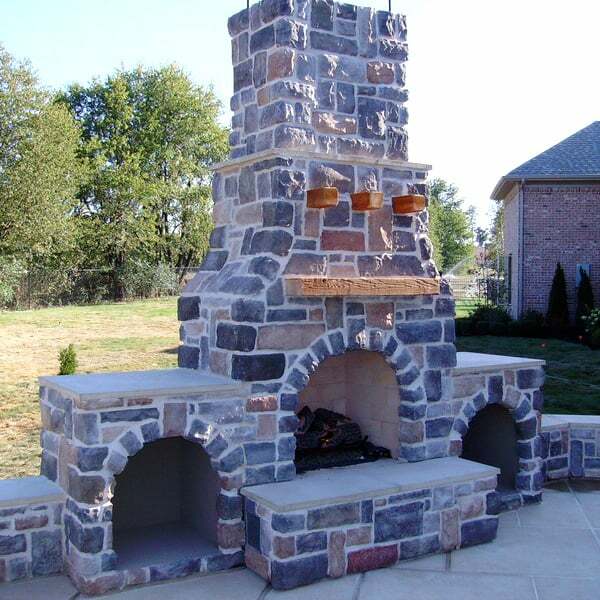 Add the "Tyner" Outdoor Fireplace Project by Leisure Select!